Smithy proposed to spend some time on the machine with Tommy, and also to look into the reason of the sudden miss which had developed. P.G. Taylor so describes their arrival in Fiji in his book Pacific Flight. 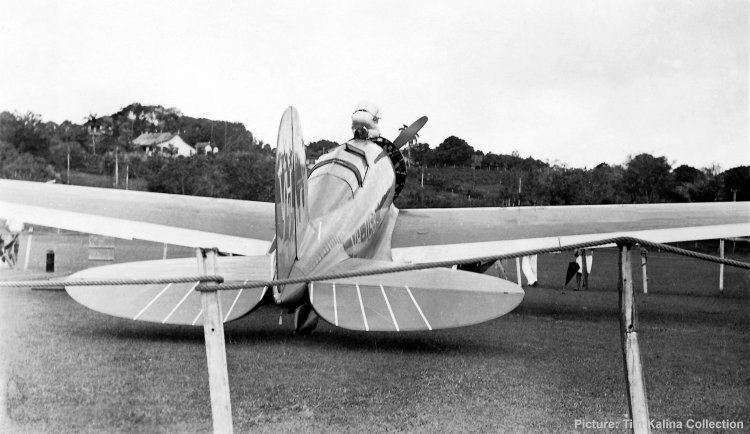 This photograph was taken at Albert Park, Suva, probably on 22 October 1934, the day after their arrival. The person attending to the engine is probably Smithy's engineer, Tommy Pethybridge, although it could be Smithy himself.